My retired grade 9 English teacher Harold Lass has successfully trekked to the Mt Everest base camp. On the left is a pic of him dwarfed by the rocky Himalayan gods. Harold has placed other photos of his trek online here. 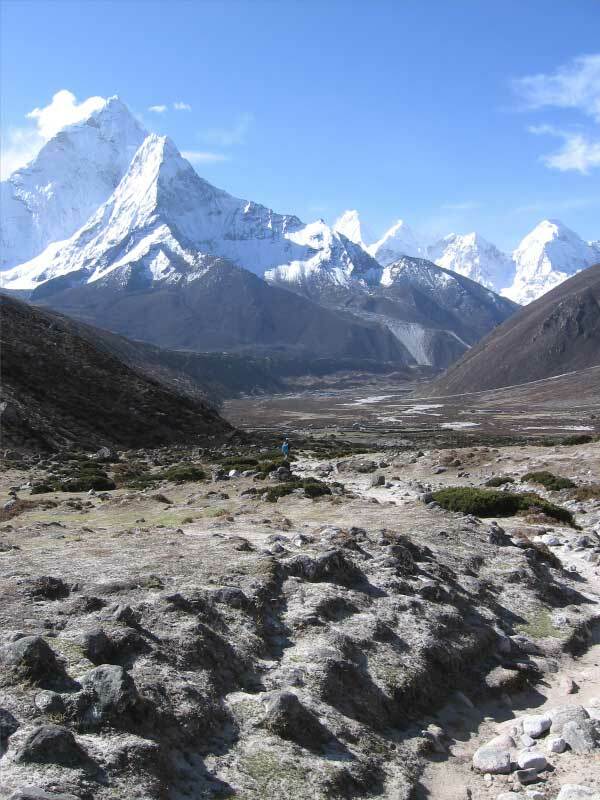 Apparently, he even had an encounter, though at a distance, with one of my boyhood heroes, Sir Edmund Hilary! Dave sends us this site filled with cool advertising images. Darth Vadum sends us this uber geeky video. And have I mentioned how much I’m enjoying the new Dr. Who series? David Tennant is proving to be a charmingg and energetic Doctor. Even the scripts are better than those of the Eccleston years, largely due, I think, to the fact that one man (the producer, Russell T Davies) isn’t writing all of them. Previous PostBillionaires and BandwagonsNext PostFunnier If He Had Used "The Clapper"